How is this vegan sandwich spread different from the other recipes out there? Glad you asked. I add corn starch to mine and simmer on the stove and this thickens it. 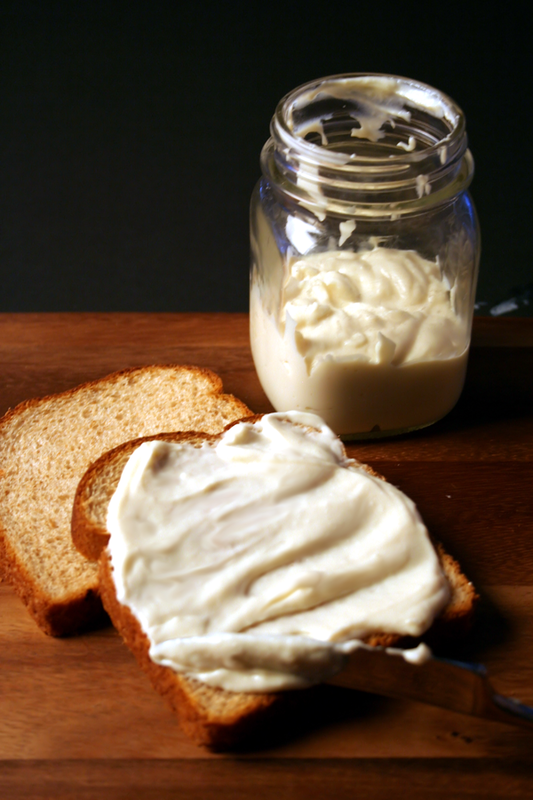 The result is something very glossy, thick and creamy but very low in fat. You can scoop mine out with a spoon and turn the spoon over and it will not budge. 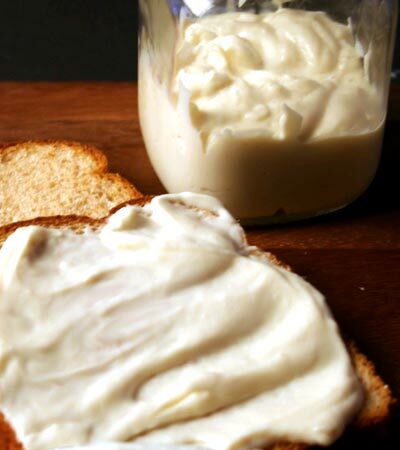 If you have been disappointed with other vegan sandwich spread recipes because they are thin and wet, try this one. Want to know what others thought about this recipe? Would you like to comment on this recipe? Go to the Vegan Sandwich Spread (Low Fat) blog entry. Place tofu, salt, onion powder, champagne vinegar, lemon juice, olive oil, corn starch and sugar into blender and blend until smooth. Pour into small sauce pan and cook until thickens, stirring and mashing downward (to get rid of lumps) constantly with a rubber spatula on medium heat. It will continue to thicken up after you take it off the stove, so you want to keep that in mind. You want to get it almost to the thickness you want and take it off the stove and continue stirring to cool it and take out any lumps. If you cook it too long it will lose it's glossy appearance. This can be served to your liking, warm or chilled in the fridge.